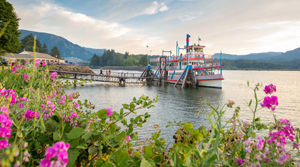 Cycling through the Columbia River Gorge and around Mt. Hood has never been easier. With biking tours, rental companies, and guides available any skill level and interest can be accommodated on two wheels. 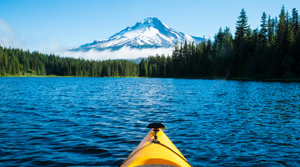 The Dalles is a cyclist’s paradise, with rides ranging from the family-friendly Riverfront Trail, to a gorgeous spin on the Historic Columbia River Highway, to an all-day, 100-mile epic to Mount Hood and back. 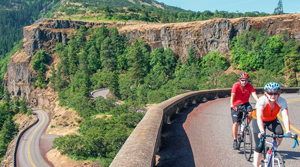 Winter is the perfect time to take advantage of the area’s dry climate, and the newly updated "Explore The Dalles Scenic Bikeways" bike map includes six of the most popular local routes, which vary in length and intensity. The map is available online and for free at The Dalles Chamber’s headquarters. Rent bikes from Discovery Bicycles in Hood River. Pick up an electric "e-bike" at Route 30 in Mosier for a low intensity, highly scenic ride along the History Columbia River Highway on the Mark O. Hatfield Trail. What do you get when you pair a smooth red pinot with a bike ride? MountNbarreL wine country bike and shuttle tours. Choose from a handful of biking tours that will take you to Columbia River Valley wineries, U-pick farms, and more. Stop by Otto's Ski Shop in Sandy to rent bikes. 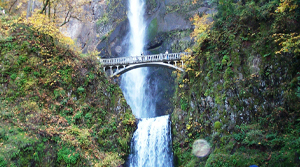 Head south toward Estacada to ride along the Cascading Rivers Scenic Bikeway, or take a ride on the Mt. Hood Express to go up to the Sandy Ridge Trail System for world class mountain biking.